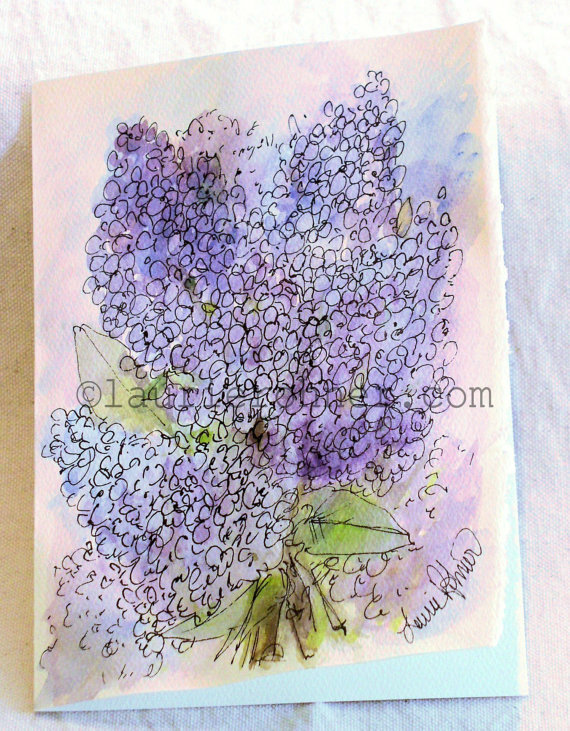 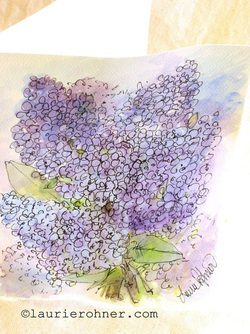 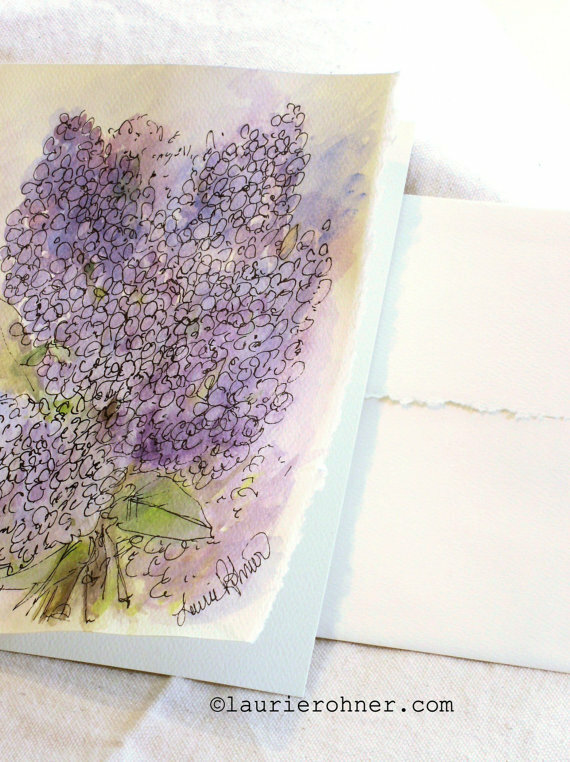 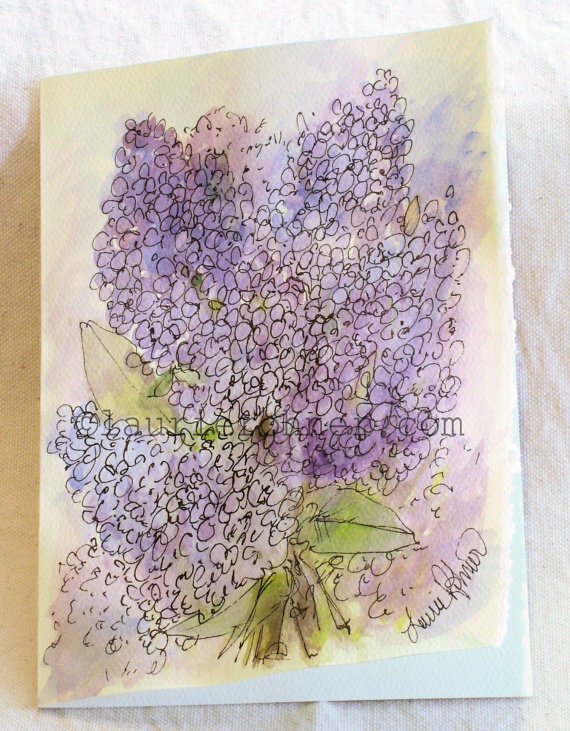 Lilacs is a botanical nature art original watercolor card and is blank inside ready for your notes or message. 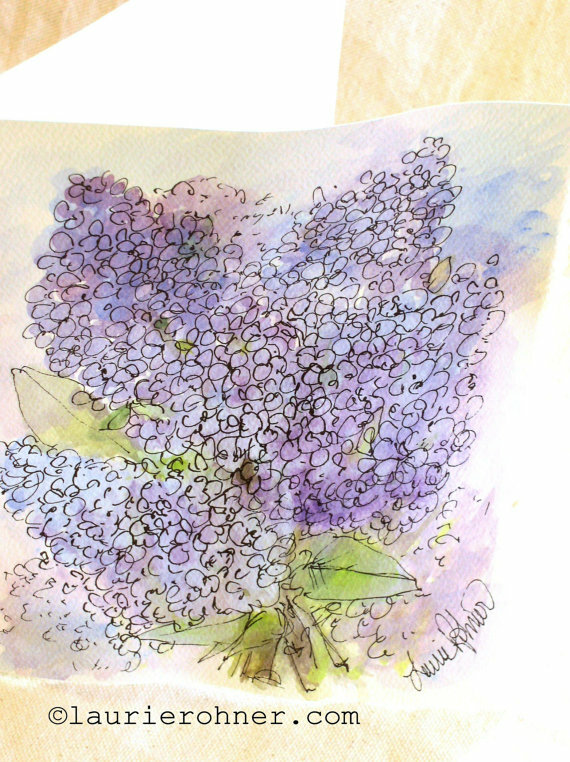 There are lilacs in shades of loft blues and purples with ink detailing the petals. The title is Lilacs. Sale includes the one signed art card and envelope only.